Sony has expanded its product portfolio in India by launching four new audio-centric products. 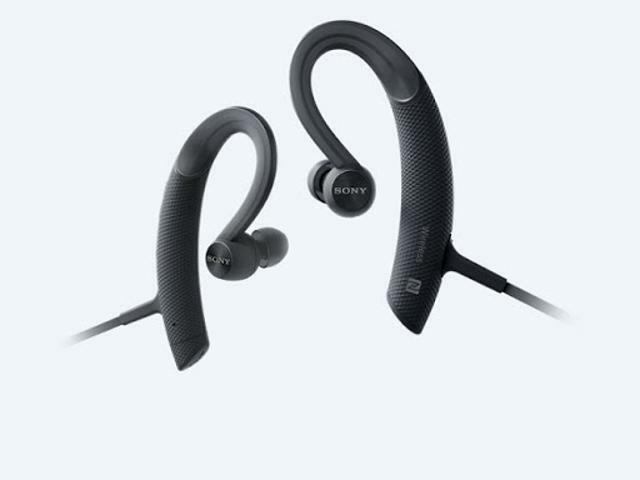 These include two in-ear wireless headphones, one Walkman media player and one pair of noise cancelling headphones. The in-ear wireless Bluetooth headphones, MDR-XB50BS and MDR-XB80BS, are priced at Rs 5,490 and Rs 10,990 respectively. With IPX4 and IPX5 rating, they are splash-resistant as well. According to Sony, the MDR-XB50BS delivers up to 8.5 hours of backup. On the other hand, MDR-XB80BS can last for about 7 hours on a single charge. Sony also announced that its NWZ-A35 high-resolution audio Walkman media player will be available in India starting November. Priced at Rs 15,900, it features a 3.1-inch touchscreen display and is available in 16GB and 32GB variants. Five colour options — Lime Yellow, Viridian Blue, Charcoal Black, Bordeaux Pink and Cinnabar Red are available. Sony did not reveal which of these will make it to the Indian market. Along with this, Sony’s noise cancelling headphones – MDR-1000X, will be coming to India in October this year. Priced at Rs 30,990, the headphones come in Black and White colour options and have different modes that let users hear external sounds without having to remove the headphones. It’s worth noting that both Walkman and noise cancelling headphones were first introduced at IFA 2016 earlier this year. All above products were launched alongside the Sony Xperia XZ smartphone. Bearing a price tag of Rs 49,990, the camera-focussed device is available for pre-booking across all Sony Centers and select retail outlets. It’ll also be available online exclusively on Amazon from October 1. Sony Xperia XZ comes in Forest Blue, Mineral Black and Platinum colour options. The key specs of the smartphone include a 23MP rear camera with triple image sensing technology and 5.2-inch Full HD display of 1080×1920 pixel resolution resolution display with Gorilla Glass 4 protection. It’s powered by a quad-core Qualcomm Snapdragon 820 processor clubbed with 3GB RAM and 64GB in-built storage. The smartphone is water-resistant as well.